Great webinar by Darrell Rigby, Omnichannel Retail: Delivering on Customer Expectations. The premise of the webinar was that traditional retailers will need to become omnichannel retailers if they want to compete with Amazon. Amazon does not need to become an omnichannel retailer since online retailing now accounts for 10% of total retail and it continues to grow rapidly. Offer the earth’s biggest selection of products to drive traffic and expand the network of high-profit, third-party sellers. 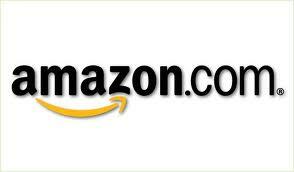 Currently Amazon offers 25 million items and is attracting more third-party sellers. I recently bought an electronic nylon rope cutter for my company. I found it on Amazon for two dollars more than we had bought the exact same product from the reseller for in 1998. Use scale to lower the cost of goods and fulfillment and pass along savings to customers through lower prices. When taking into account delivery and taxes, Amazon’s prices are substantially lower than Walmart and Target. Provide a best-in-class customer experience to drive loyalty and increase purchases. Amazon achieves the retail industry’s highest customer satisfaction scores outperforming Nordstrom, Costco, Best Buy and Walmart. In my opinion, Zappos, an Amazon subsidiary, does an even better job than Amazon of providing an outstanding customer experience. While Amazon’s margins are 20% lower (4.4% versus 5.6%) than traditional retailers, their return on capital is almost three times that of brick-and-mortar competitors. Amazon’s stock trades at 93 times earnings versus 17 times earnings for department stores. Amazon’s $100 billion market value equals the combined value of Target, Kohl’s, Macy’s, Nordstrom, Best Buy, Sears and JC Penney. It is more than one-third the value of Walmart. Are you an Amazon customer? Which of the three elements of the “Bezos flywheel” are most important to you? This entry was posted in Consumer Insights and tagged Bezos Flywheel, Consumer Insights, customer experience. Bookmark the permalink.